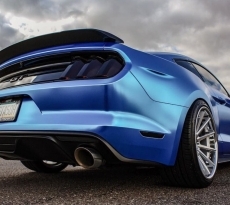 Mustang 50th Anniversary Celebrations – Will the 2015 Mustang Show? April 2014 is sure to be a very exciting time for Mustang fans all over the world and what better way for enthusiasts to celebrate than to attend one of the Mustang’s 50th Birthday Celebrations in Las Vegas, NV or Charlotte, NC from April 16-20, 2014! 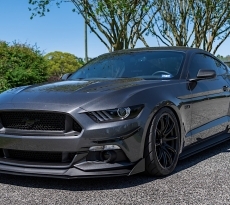 Several thousand Mustangs are expected to attend each location and registration is open for access to both the Charlotte and Las Vegas Motor Speedways. There are also one-day parties planned for Mustang Oklahoma the weekend prior to the main events and two large Pony Drives from Norman, OK to the main locations. 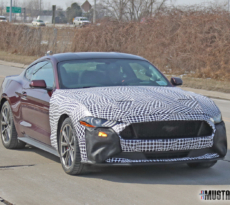 The big question on everyone’s mind is — will the 2015 Mustang make an appearance? Tell us what you think.